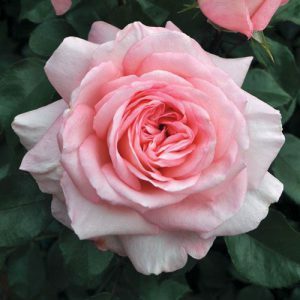 We all know that when your rose blooms depends on things such as its classification, variety, and the weather conditions of your area. While most roses bloom beautifully in Spring and Summer, it doesn’t have to stop there! Pruning your roses in late summer can encourage another flush of blooms in the fall season! Fall weather can be quite unpredictable, many areas of the country experience mild weather. While in other areas, it is not uncommon to experience cold weather quickly after summer ends. After the summer months, many of your rose bushes may have become overgrown and bushy and that can result in tiny blooms on short stems. Pruning your rose bushes in late summer will help to encourage new blooms – perfect for filling vases in your home! If you are looking for the perfect bloom for your yard, we recommend one that has excellent weather tolerance and disease resistance such as Desmond Tutu™ or Savannah™. Both are members of the Sunbelt® collection, which includes vigorous and easy-to-grow blooms. So when should you prune for fall blooms? The end of summer in the months of August through mid-September is the best time to prune your roses to prepare them for a fall bloom cycle. 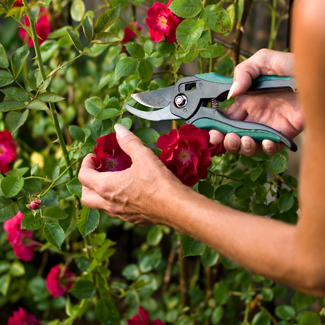 Pruning your roses is easy, if it is done correctly. those who may suffer from arthritis. Lightly prune each rose bush by removing one third of the plant’s height. Remember that the further down you cut, the longer it will take for the bush to re-bloom. While you are pruning, clean out any “twiggy” growth that may interfere with new growth. Cut the canes at a 45-degree angle. Clean up any fallen leaves at the base of the bush. 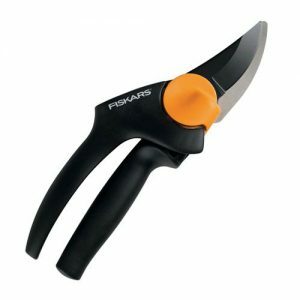 Cut or remove any dead canes or foliage. Applying mulch around the base of your roses can help to insulate them during the upcoming fall and winter months. 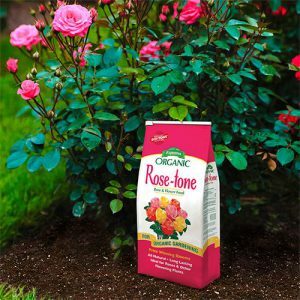 Right after pruning, we recommend lightly feeding your roses with an organic fertilizer such as Espoma Rose-tone® – add the recommended amount around the base of the plant and gently work it into the top layer of soil (before mulching) with ½ cup of Epsom salt. This helps encourage new growth and promotes the general health of your roses. By utilizing these tips to your late summer garden maintenance, you could have an excellent crop of fall blooms! Happy Gardening!